If you think bears are stoked after catching a singular salmon, wait ’til you get your hands on this fishy fare. As excited as we are for another round of crispy noodle-haired Justin Timberlake memes, May is gracing us with South Brisbane’s annual Fish Lane Festival – a street-wide celebration of dining, drinking and dancing (and delegating designated driver to someone else). Besides a solid date and time being announced only days ago (Saturday May 11 from midday-late, tell the people), word of what eats we’ll be getting up close and personal with has also rolled out, as will we from the festival after one too many gelato s’mores. Here are 10 things we’ll be eating at Fish Lane Festival 2019, and we have a feeling you’ll be on the same boat. Get saucy with $12 pizza thanks to The Fox! We’ve got our eyes on three topping combos – the New Yorker, Italiano and California. It’s not a crowd, it’s a party. Your fave Foxy bois are blessing festival-goers twice, with chicken AND vegan tofu nuggets coated in seasoning and served with plant-based dipping sauce set to steal the show. Nugs, not drugs – okay kids? If you haven’t demolished a Billykart cheeseburger, you haven’t lived. This puppy is packed with a dry aged beef patty, cheese, pickles, onion, ketchup and mustard mayo on a silky milk bun, and we’re already drooling. Now you know Gelato Messina aren’t coming to the party plain-handed. 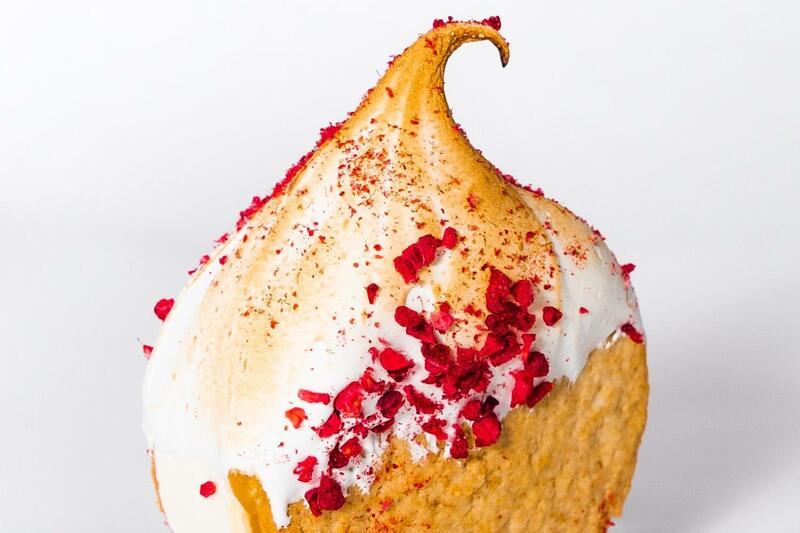 Known for their unique festival creations, Fish Lane Festival-goers will get heir hands on two types of custom gelato s’mores, namely Golden Gaytime and pavlova! Best. vegan burgs. EVER! Brisbane’s newest plant-based burger joint will be serving their menu full of eats stacked sky high, and almost indistinguishable from their meaty counterparts. Where’s the vEEF? Two words every foodie wants to hear – honey puffs (or loukoumades if we’re getting all Greek and technical). These perfect little puffs are crispy, soft-centred and dusted with icing sugar, and our sweet tooths are screaming. We’ll balance it out with some gyros and call it a day. C’mon duck buns. If you don’t get your mitts on these fluffy buns stuffed with succulent marinated duck pieces, you’ll be waddling home unfulfilled. If you’re feeling festive, tackle a brand new addition to Chu’s lineup – the squid schnitzel sandwich! Holy heck. Best Italian in town? We think so, which is why we’re pumped to hit up Julius for tartufo pizza and al dente handmade pasta. If previous years are anything to go by, get there early – because they will sell out. Putting the fish in Fish Lane Festival, Ol’ School will be kicking it with the likes of calamari, fish and chips, and everything else worth seasing. When in Fish Lane! Burgers, beers, Battlestar Galactica. Saccharomyces will be serving up both sweet and savoury burgs to pair perfectly with crafty Brisbane beer! Start with the pulled pork burger loaded with beer slaw and smoky BBQ sauce, then back it up with the strawberry doughnut dessert burger. Who is she?! Merely reading this has induced some sort of premature food coma. Brb, napping.